Colour soon available The item is currently being restocked in our warehouse, please subscribe to our availability alert to be notified of its availability. by buying this product Valid to destination of United Kingdom. 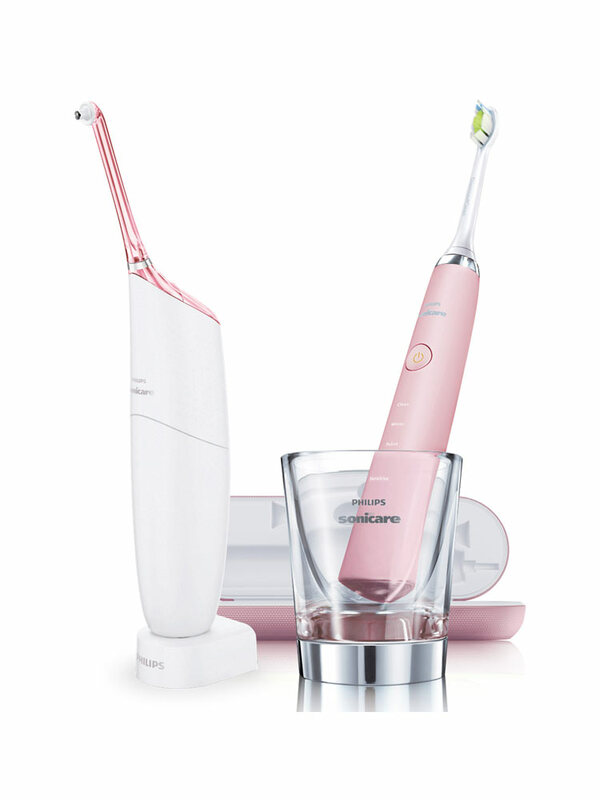 Philips Sonicare DiamondClean + AirFloss Ultra is a set which ensures an exceptional oral hygiene in daily. 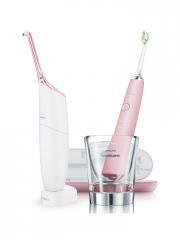 Philips Sonicare DiamondClean HX9369/89 Electric Toothbrush is an electric toothbrush White edition, for whiter teeth and healthier teeth for life. Ideal to brighten the teeth, this electric toothbrush comes with 2 brush heads, 5 modes (including 1 Sensitive for gentle cleaning of teeth and sensitive gums), a USB travel charger and a loading glass. It removes up to 7 times more plaque than a manual toothbrush in hard to access areas, for a more intense whiteness. It provides optimal cleaning along the gum line and between teeth, for improving the health of your gums in just 2 weeks. The brush heads offer very good performances of brightening thanks to the thinning strands implanted in a diamond shape that efficiently clean and smooth surface stains and plaque. Stains caused by coffee, tea, red wine, cigarettes and tobacco are eliminated in just 1 week. The toothbrush has ringtones to 30 second intervals that ensure you clean each quadrant of your mouth, to ensure complete brushing of the mouth. The 2 minutes timer allows you to meet the recommended brushing time. Philips Sonicare AirFloss Ultra Irrigator is an irrigator which has been created to promote good health and hygiene of teeth and gums after teeth brushing. This device, acting in 60 seconds only, yet cleanses better thanks to the jet of air and liquid. It reduces bleeding gums in 95% of users. Clinically proven, it is as effective as floss against the bleeding gums. Safe and gentle for implants, it is also suitable to holders of braces. With its set of customized jets, choose single, double or triple jets. This device easily completes your dental routine. The lithium-ion battery provides an autonomy of 2 weeks of load. It is recommended to brush your teeth after each meals, during 2 minutes. Indication: Oral hygiene. To remove the dental plaque.